OK OK, with all of this fabulous color inspiration and viral balayage video phenomenon going on indefinitely via Instagram, we gotta point out the fact that we are seeing a repeating trend in the world of hair tools. That trend, friends, is Framar brand EVERYTHING. From brushes, to bowls, to badass designer foils, we are seeing stylists using Framar products to make their day, video, and client experience even a little more colorful. Framar (pronounced FRAY-MAR) originally started as a foil provider for stylists but quickly evolved in to an entire range of premium hair color tools and accessories, designed for the salon professional with some edge. 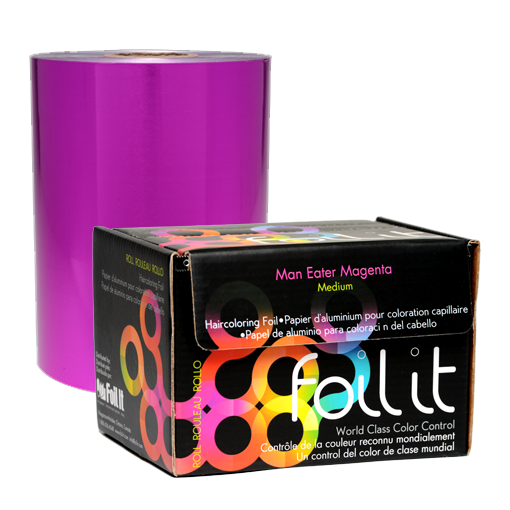 For example, instead of just buying a regular roll of silver aluminum foil, they have options from magenta to orange to blue and silver stars. The foil is premium (obviously) and we love how all it takes is just changing up your foil color to inadvertently give your guest this added ‘touch’ of premium impression and service. 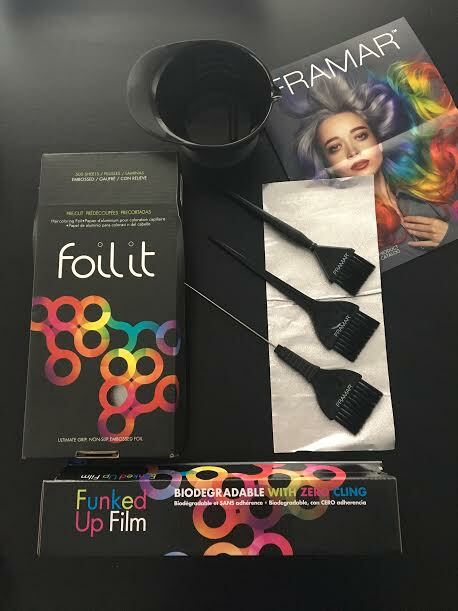 –Funked Up Film: A clear film to use with color blocking and balayage techniques, the non-cling roll dispenses easily from the box and has a built in ‘cutter’. The film is biodegradable too. –Suction Bowl: A single coloring bowl, yes, but with a suction cupping at the bottom so the dang bowl never tips over on you again. DUH. Why aren’t all coloring bowls made to do this?! –Color Brush Set: A set of 3 of their brushes for $7.99. Affordable. Check. Essential. Check. If you haven’t heard of or used this brand yet, consider it. Framar products are fun, colorful, premium yet incredibly affordable for a colorist. Check out more of their ‘all you can think of’ options at their website here and let us know what you think in the comments below!